To Mrs Stump, mother of Patrick Stump. From Mena Griffiths-Warner. 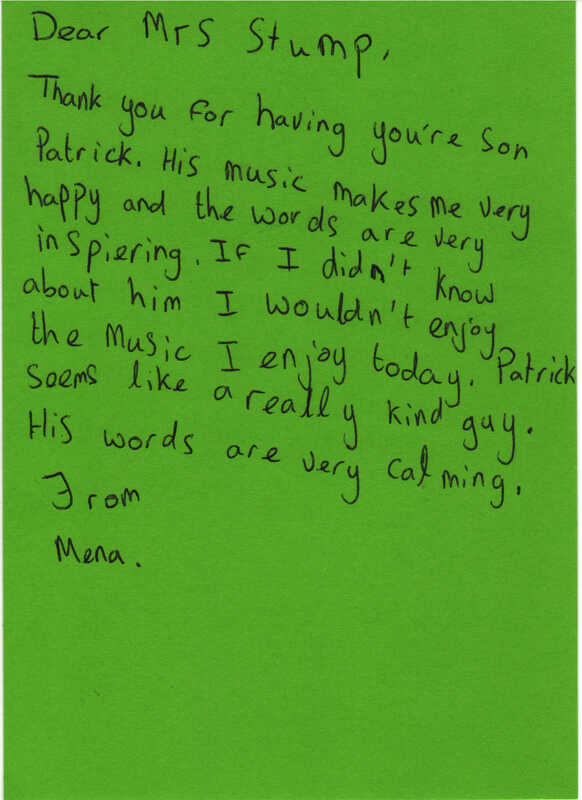 Thank you for having your son Patrick. His music makes me very happy and the words are very inspiring. If I didn’t know about him I wouldn’t enjoy the music I enjoy today. Patrick seems like a really kind guy. His words are very calming.